If you’re under the impression that the easiest way to create a website for your business or personal use requires a bucket load of capital or the ability to speak fluent geek, you’re mistaken! Times have changed, particularly regarding the logistics of DIY (Do It Yourself) website building. Nowadays, there’s no need for you to write so much as a line of code, and what’s more, you can create a fully functional, professional, customized website for your business or for pure self-expression in as little as one afternoon. The past decade has seen the steady rise of the DIY website platform, streamlining and simplifying the process of site-crafting to the point that first timers with the most limited tech skills will find it not only manageable, but also enjoyable to create their own custom website. Content management systems such as WordPress, Wix, and Squarespace are three of the most popular platforms on the web today and, for the easiest way to create a website, you’ll probably be wise to run with one of these options. 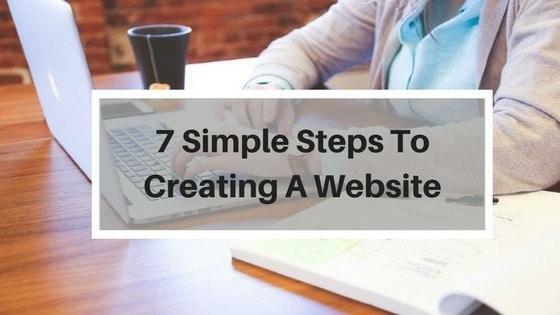 There is, however, a little more to it than just your chosen platform, and we’re about to run through all those steps to get you well on your way to creating and maintaining a website of your very own. Your domain name forms part of your site URL or address and it’s the name by which your site will come to be known by visitors. The best domain names are easy for your audience to remember, so they can access your website on the go. If you’ve been doing business for a while without a website, you should consider having your business name in your domain, so your existing customers can find you. Or, if you are looking to build an affiliate site, you may want to include the brand, product, or topic of the website you are creating in your domain name. Domain names are arguably the most important part to building your website, since once you choose one, you are branding your website. Visitors will come to know your site by this name, so it’s not wise to change them frequently, if there isn’t a necessity. You can purchase a domain name from a domain broker of your choice or direct through your hosting company. Keep in mind that your hosting service provider might offer a free domain as part of their hosting plan, so wait until you’ve chosen your hosting plan before purchasing a domain. This step is all about choosing that perfect name. A web hosting company or hosting service provider is the company to whom you’ll pay an annual fee to store your website with all its contents in one of their private servers, so that your website is accessible by website visitors. Just think of a server as one of the giant bookshelves in the giant library that is the internet. Once you’ve chosen a domain name and purchased it, a hosting service provider will be your next port of call. HostGator and Bluehost are a couple of the most popular hosting options for WordPress run sites, and both of them offer an array of plan options, from personal to business. Be sure to do your research while shopping for a hosting plan; you want to choose a host you can rely on and grow with and that means powerful servers with the capacity to handle your website audience. Other things to look for are sign-up and renewal costs, trusted tech support, and a user-friendly control panel. The previously mentioned hosting providers tick all these boxes and we’d recommend them as reliable hosts with which to grow. Your chosen website platform or content management system (CMS) will provide a framework of pages, galleries and content spaces; basically, a complete website; all you’ll need to do is add your media and personalized content. Depending on your chosen platform, you’ll find thousands of customizable themes and layouts with different business models in mind at your disposal. On top of that, you’ll have a long list of plugins which will provide add-on features to make sure your site really works for you, with all the useful extra features you could possibly need. More than 25% of websites are built on the WordPress platform, making it the most popular platform used today. With its user-friendly operation, constant updates and ample theme options, this is a management system we’d recommend. WordPress makes it super easy for anyone to launch and run their own fully functional site. It’s one of the simplest platforms you can use to create a website without any previous coding experience. Now, your hosting provider will likely offer a simple one click WordPress install that will have your site up and ready for customization within 5 minutes. If not, don’t stress; just visit the ‘download WordPress’ tab on WordPress.com website and you’ll be guided through the process there as well. WordPress is constantly being upgraded and you’ll find upgrades available on your ‘dashboard’ or ‘WP Editor’ on a regular basis, once yours is installed. Always make a point of allowing these upgrades as they include safety features and bug fixes that no WordPress user or WP website can do without. Upgrading regularly will keep you safe and your site’s operation competitive and fast. At this point, you’re probably thinking that this is going to cost you a fortune, but not only is WordPress the best way to create a website on your own, it’s also Open Source Software and that means it’s completely free to download! There are paid packages available from WordPress that offer added benefits, but a basic free package will meet your needs when you are first starting. 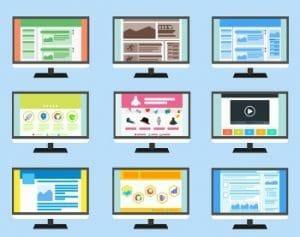 Think of a theme as the visual aspect of your website. This will determine the colors and layout on your website. Choose your theme carefully, by not only choosing one that looks good, but has good functionality as well as solid reviews. Your theme can always be changed at a later stage, but you want to avoid changing your theme frequently as this can have negative effects on SEO and branding. WordPress has many themes you can choose from on their platform. There are also other theme providers like Studiopress, Optimizepress, and Elegant Themes, that can be used, depending on your needs. Plugins are basically little apps that can be installed onto your theme to provide extra functionality for your website. So, remember it as being a ‘plug in function or app’ and you’ll get the idea. A plugin will contain anything from social media share icons to e-mail contact forms. Many sites make use of plugins to organize their site exactly the way they want it. Some are larger than others and, if possible, you should try to keep the number of plugins down to a minimum as they don’t always work 100% in harmony and can slow down your site. Now that you’ve followed our process to get your website up and running, it’s time to get some content on your website in the form of articles or information. Upload your media and content, customize your colors and menus, and start building an audience to your website. Having trouble finding what to write about when you first launch your site? The best way to create a content plan is to use a good keyword research tool. Google Keyword Planner used to be the free tool of choice, but as they have been giving website owners less and less information, it has become imperative to have a paid tool at your disposal. Our keyword tool offers keyword suggestions, so that you can use them to write your article and lets you know how difficult it will be for you to get traffic to your article written about your keyword. Developing a website isn’t as complicated as it seems. If you are interested in being the person that manages your website daily and has full control over your content, developing your own website is the best way to go. The hardest part is starting the process, but once you start, you’ll never look back, and you’ll be off to driving traffic to your website in no time. Very good blog for setting up a themed website, we strongly recommend a bespoke built website tailoring the site around the client’s needs and wants if it fit within a budget. Of course, there are cheaper ways to produce a website.